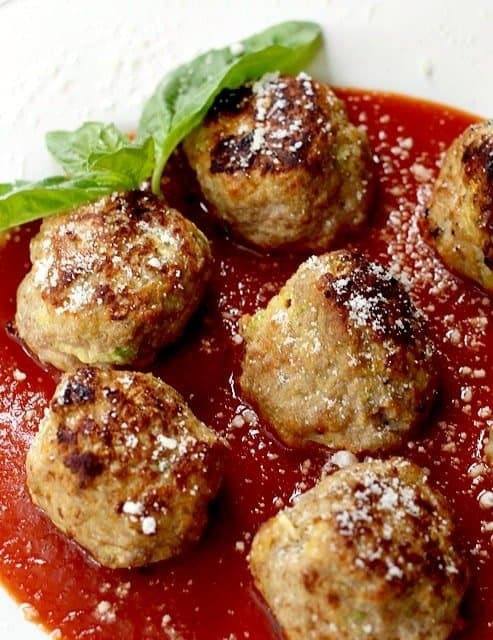 Turkey Zucchini Meatballs are loaded with fresh zucchini, so definitely no dry meatballs here! 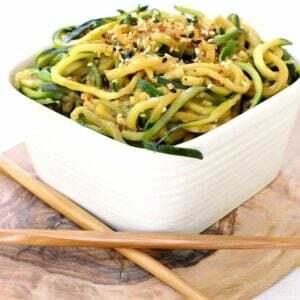 Loaded with flavor, easy to make and good for you! Growing up there was always a pot of meatballs and sauce simmering on the stove. 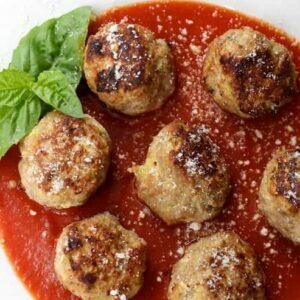 Lucky for me, I know, and I still love a standard meatball and sauce recipe any day. But sometimes you just want something different to change things up a bit. Especially when it’s summer and there’s lots of fresh vegetables laying around. These Turkey Zucchini Meatballs are an excellent way to use up the zucchini from your garden, but even if you have to go out and buy a couple, these meatballs are totally worth it. I used a cup of shredded zucchini, ricotta cheese and only a little bit of bread crumbs to keep them really juicy and not dry the way a turkey meatball can sometimes be. I didn’t think they were going to hold together with only 2 Tablespoons of bread crumbs but the wife assured me that they’d be fine. And they were better than fine. They’re gone. I was planning on us all having them for dinner but that got ruined by the wife and my little guy eating them for lunch. I’m going to have to make up another batch of these, ASAP. So like any standard meatball, put all the ingredients into a bowl, mix them up and start rolling. I fried mine, then baked them for about 10 minutes just to make sure they were cooked all the way through. Serve these Turkey-Zucchini Meatballs with your favorite pasta or all on their own. 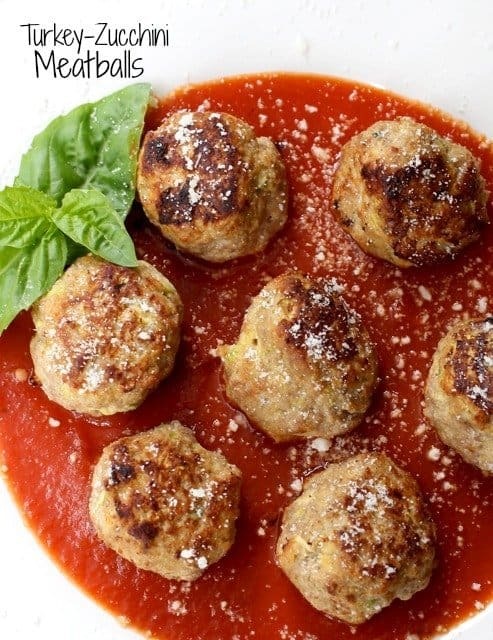 And as the wife likes me to mention, these meatballs are just a little bit healthier than a regular beef meatball with tons of parmesan cheese, breadcrumbs and eggs…as good as those are, if your looking for something a little lighter these meatballs are for you. Mix all of the ingredients (except for the sauce) in a bowl and mix well to combine. Portion out into balls with a #20 ice cream scoop, you’ll get about 28 meatballs. 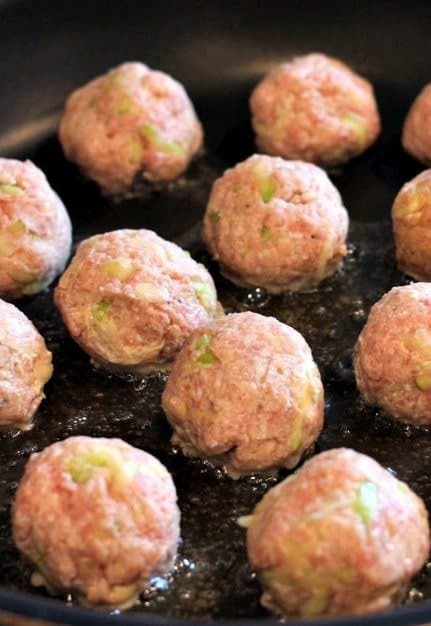 Place the meatballs on a baking sheet sprayed with cooking spray and bake for 20-25 minutes until the meatballs are no longer pink inside. Add the meatballs along with a jar of marinara sauce to a large skillet and heat until warmed through, about 15 minuets. 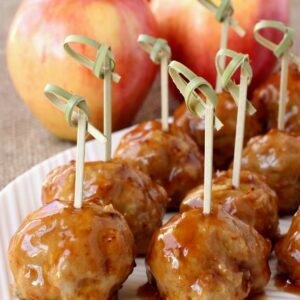 These meatballs are seriously awesome. 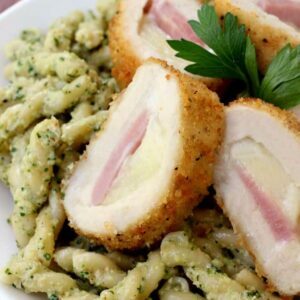 Love this recipe and bookmarked to happen here soon! Thanks Matt, My little guy was sick all week and we were tired of soup…He loved them so it was a success!